Located at 44 E. Main, in the heart of Logan's Historic downtown. Local Arts & Crafts, Demonstrations, Visitor Information and more. Visit https://www.facebook.com/HomegrownOnMain/ for more info. North Homer Avenue, Logan; 740-385-6704; $8; 7:00 a.m. to 10:00 p.m. The fair features many Jr. Fair Livestock Shows, Demolition Derby, Moto-Cross, Tractor & Truck Pull, Garden Tractor Pull, ToughTruck, Mud Bog and Auto-Cross. Also featured throughout the week is the nightly entertainment held in the Shelter House and daily shows beside the Art Hall for kids. The midway features rides and games. A great assortment of food is available from the many concessionaires who line the pathways of the fair. Inside the Art Hall you'll find food, clothing, crafts, photography and flower entries made by the talented people of Hocking County and surrounding areas. Commercial display booths can be found in the Art Hall and under the Grandstand and throughout the grounds. Your $8 entry fee includes all rides! 12684 College Prospect Dr, Logan; brewery33.com; 740-385-6033; 5:00 p.m. to 9:00 p.m.
Join us every Thursday night for our Bike Nights, FREE LIVE music, Food Trucks, door prizes, 50/50s and much more! Great Beer, Great food and Great Music! This Thursday is Steve Zarate with The Rolling Pin Food Truck. ALR, Rear of 48 W Main Street, Logan; See Facebook; $10 Donation; 7:30 p.m. to 9:00 p.m.
New season Kick Off at the ALR! Jess Baldwin's voice has been described as "world class," "effortless," and "pure beauty." She performed on Mountain Stage in 2013, won Best Cover Song in the 2015 and 2017 Ohio Music Awards, and was a quarterfinalist in the 2015 and 2017 American Traditions Competitions. As an artist, her eclectic style melds indie and chamber pop with soul and jazz, living somewhere between Regina Spektor, Lake Street Dive, Becca Stevens, and Laura Mvula. Hocking Co. Historical Society, 64 N. Culver St, Logan; 740-385-6026; 1:00 P.M. - 4:00 P.M.
View numerous displays of Hocking History including: a medical office, military uniforms & equipment, toys, coal mining, local clay & brick industry, and Hocking Canal & bridge history. Open every Friday & Saturday thru October. 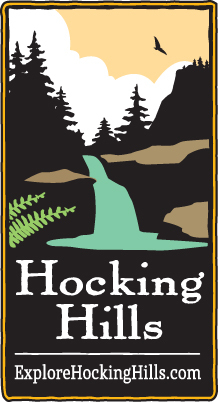 Serving handcrafted beers of German heritage and Appalachian style in a friendly atmosphere, and brewed right here in the Hocking Hills. Come enjoy a pint while listening to Casey Redmond Friday and Mark Shaw Saturday. 14940 Mount Olive Road, Rockbridge; 740-385-4070; glenlaurel.com; 6:30 p.m. to 8:30 p.m.
Join us for Chill and Grill on Friday and Saturday from 6:30PM to 8:30PM. The All You Can Eat Dinner features Chef hand-cut steak and chicken grilled to order plus an array of composed salads and side dishes. $30.00 per person. Beer and wine available. Enjoy the sweet sounds of music with the great taste of wine at Hocking Hills Winery. Order an appetizer, or bring your own food while you listen to R&R Accoustic Friday, and Rick Barr Saturday. Check out their Facebook page for details of guest foodtrucks, appetizer trays are always available. Programs at the John Glenn Astronomy Park will take place both during the evening and daytime. Visitors to JGAP during the day will get views of the closest star to the Earth, our own Sun, through telescopes with special filters. Families will also enjoy astronomical activities in and around the park. Have you ever wondered how big the Solar System really is? A "solar system walk" will show, and amaze, you. At night, visitors will get a chance to see stunning views through the enormous 28-inch telescope in the roll-off roof observatory. The moon, planets, star clusters, nebulae and galaxies will be seen. And, if there happens to be a bright comet in view, we will look at that too!. Folks have loved our programs so much that we have run out of room for your cars! A few recent programs we have had to turn people away for lack of room. This overwhelming response has required us to retool things somewhat. Even though we will be limiting the number of cars, we will not be limiting the number of people at our programs. If you are one of acts who can fit 20 folks into a VW Beetle, great! In addition, we beg you not to make the dangerous (and illegal) decision to park along route 664. Please do not do this. Old Man's Cave, SR 664-S, Logan; 740-385-2750; explorehockinghills.com; 60K begins at 7 a.m., 40K beings at 8 a.m., other races have individual starts between 9 and 11 a.m.
40th Annual Hocking Hills Indian Run. 5K, 10K, 20K, 40K and 60K races beginning at the Hocking Hills State Park Naturalist Cabin, with the trail winding through vast wooded areas of the State Park and Hocking State Forest, crossing streams, deep gorges, shimmering waterfalls, lush forests and country roads, leading uphill and down. Your Source for Fresh, Local Produce, Meat, Crafts, Baked Goods, Flowers, and More. 1000 East State Street, Athens; 740-593-6763; 9-12 pm Saturdays, 9-1 pm Wednesdays. he market features local & organic produce, fresh fruits, meats, cheeses, eggs, baked goods, honey, maple syrup, bedding plants, flowers, shrubs, jams, salsas and much more. Laurelville Elementary School, 16138 Pike Street, Laurelville; See Faceboook; From 9:00 a.m.
Come visit Laurelville Elementary School for the Farmer's & Artisans Market. All are welcome from 9:00 a.m.! Come by to meet your local Farmers, Bakers, Crafters & Jelly Makers. FREE crayons and coloring pages for the kids. Tar Hollow State Park, 16396 Tar Hollow Rd, Laurelville; 10:00 a.m. - 10:00 p.m.
Mountain Heritage weekend at Tar Hollow State Park, Laurelville - crafts, games, hayrides, square dance and much more! A bus service to take you from Old Man's Cave with bus stops through the State Park. Use for a one way hike and return to your vehicle via the shuttle! Take your dog, as 4 legged friends are welcome! Tickets to ride are $5 per traveler, are valid all day and are available at Homegrown on Main, the Welcome Center or on the bus. Shuttles run in a loop of the park throughout the day approximately every 30 minutes. Stops include Old Man's Cave, Cedar Falls, Ash Cave and Whispering Cave. If you are already in the state park you may purchase a shuttle ticket with cash from the bus driver or at the Campground Office during service hours at indicated route stops. Noon - The Haydenville train is the shorter of our regular weekend trains. It operates round-trip from the Nelsonville Depot to Haydenville, lasting approximately 1 hour and 45 minutes. It is the same route to and from Haydenville; the train simply reverses direction by moving the locomotive to the other end of the train. Along the way, you'll pass by the remains of Hocking Canal Lock No. 19 and follow the Hocking River. On-board narration will provide history of the area and railroad, and point out other points of interest. You'll also get a glimpse of the current industry in the Valley including a lumber facility. 2:30 p.m - The East Logan train runs the entire length of our track, and is, as a result, the longer train of our regular weekend trains. It operates round-trip from the Nelsonville Depot to East Logan, lasting approximately 2 hours and 15 minutes. 2363 Lancaster Newark Road NE, Lancaster; 740-687-4414; rocksidewinery.com; 5:00 p.m. to 8:00 p.m.
You've worked hard this week. Now it's time to WINE down at Rockside Winery & Vineyards. You deserve it! Enjoy excellent wine, BBQ, music and conversation in our beautiful vineyard setting. Wine, beer and local bourbon whiskey is available for purchase at RockSide Winery & Vineyards. No outside alcohol is permitted. The Ohio Frontier was full of heroes and shady characters. Meet at the Shelter House at the Rock House to hike and explore our local history. Migration is a challenge for the birds! Come to the naturalist cabin located by the A frame bridge to play a game and learn more about migration. Stuart's Opera House, Public Square, Nelsonville; 740-753-1924; stuartsoperahouse.org; From $24; 8:00 p.m. - 10:30 p.m.
After blowing audiences away at NMF16, John Moreland returns to Nelsonville to play a duo show on the Stuart's stage, don't miss this one. Join us a at 5:30 PM on Wednesdays with Jeannie Faulkner. Class is open to all. No pre-registration is necessary. Join us every Thursday night for our Bike Nights, FREE LIVE music, Food Trucks, door prizes, 50/50s and much more! Great Beer, Great food and Great Music! Tonight will be Steve Zarate with food from The Rolling Pin. WEDNESDAY, SATURDAY - Athens Farmers Market takes place 9 a.m. to 1 p.m. from April until December on Wednesdays and 9 a.m. to 12 p.m. year round on Saturdays. Enjoy a variety of vendors from homemade delectables to fresh produce and more. Call 740-593-6763 or visit athensfarmersmarket.org for more information. MONDAY AND THURSDAYS AND OTHERS BY APPOINTMENT - Beginner Bead Making Classes - Have fun learning to melt glass while making your own glass beads and charms for bracelets, necklaces and earrings. Everything that you need to make beautiful glass beads is supplied. Ages 14 and up. $25 per class, offered at 11 a.m., 1 p.m., 3 p.m. and 5 p.m.; call for reservations at 740-385-1384; Liquid Light Gallery; 18345 Unger Rd; Logan. TUESDAYS - Science with Mr. Turtle at the Logan Library - Join Mr. Harry every Tuesday from 3 to 4:30 p.m. in the Children's Library and explore the world of science. Every age is the right age to learn! Call 740-385-2348; Logan Library; 230 East Main Street; Logan; Free. TUESDAYS AND WEDNESDAYS - Story Time at the Logan Library - Children of all ages can come out for story time. Weekly readings take place at 6:15 p.m. on Tuesdays and 10 a.m. on Wednesdays. Call 740-385-2348; Logan Library; 230 East Main Street; Logan; Free. WEDNESDAYS - Quilt Therapy - Beginning at 9:30 a.m. to 5:30 p.m. on every Wednesday, our classroom is open all day for anyone who wants to come and sew. Bring a project, even one you are having struggles with, and one of our folks will be happy to help you. It is a fun day to come and be with other quilters. Lunch is on your own. Nelsonville Quilt Company; 52 W Washington St; Nelsonville; call 740-753-3343 for more info; Free. WEDNESDAYS - Yoga at the Bowen House - Join yoga instructor Jeannie Faulkner at 5:30 p.m. Class fee is $6. Class is open to all and no pre-registration is necessary. The Bowen House Community Center for Arts & Education; 196 N Market St; Logan; call 740-385-0344 for more info. THURSDAYS - Yarn Lovers Unite - Members are invited to join at the library to work on various projects and share techniques and progress. Anyone who knits, crochets or sews is invited to attend. All are welcome regardless of experience and ability, as this is a chance to share and learn. Takes place from 1 to 3 p.m.; call 740-385-2348 for more information; Logan-Hocking County Library; 230 E. Main Street; Logan; free.